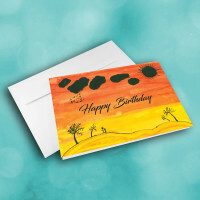 A unique, artistic birthday greeting card, sure to bring a smile to whoever recieves it. 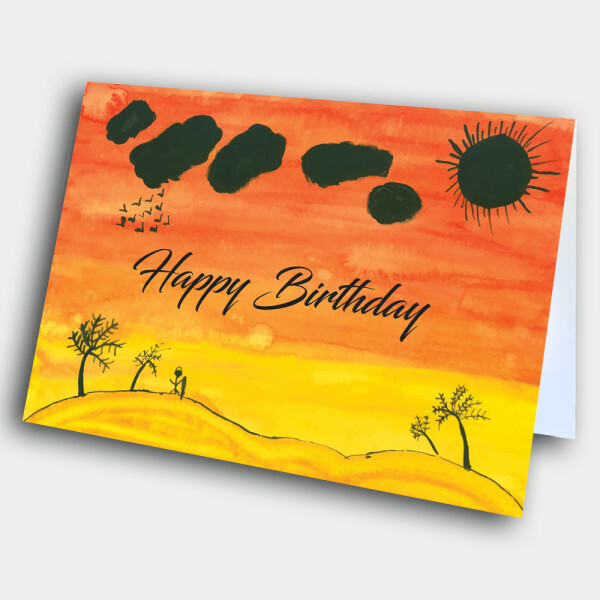 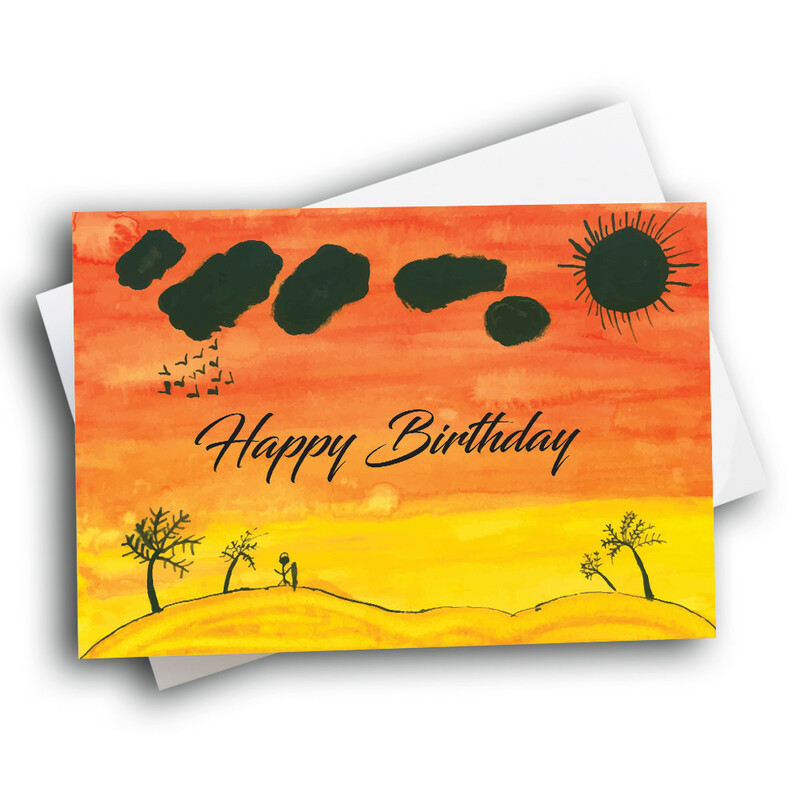 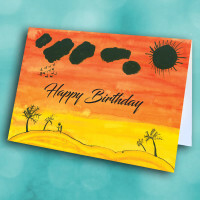 This artistic birthday card, based off of hand-drawn artwork, is sure to bring some light into a special day. 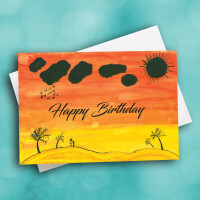 The front is beautifully painted with a vivid sunset; the birthday greeting sprawls across the center. 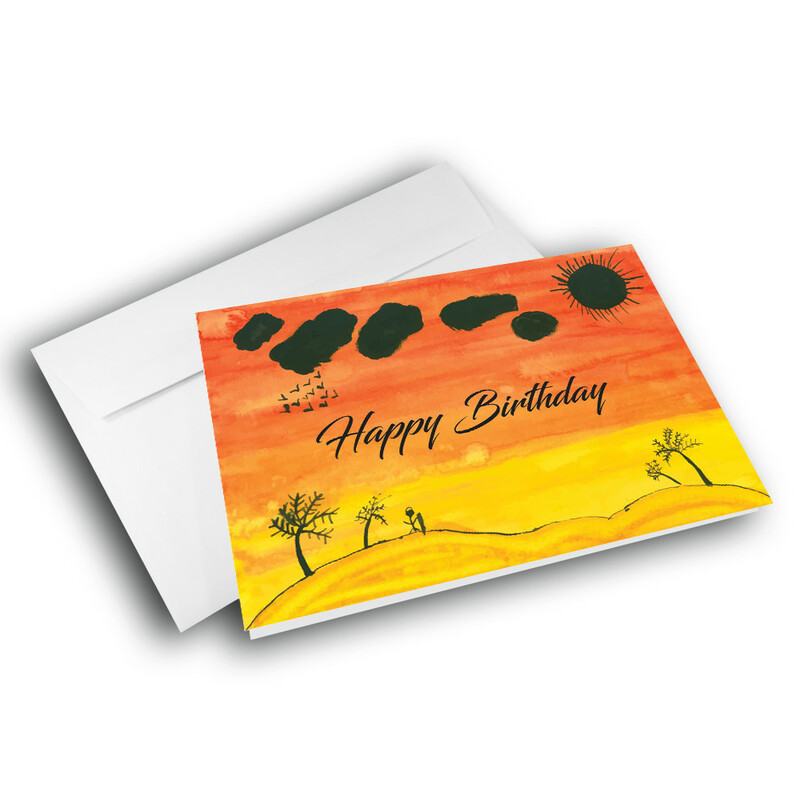 Add a custom message inside to give the card your personal touch.